Spruce up your brand new boat with vinyl graphics from Full Sail Graphics & Marketing. Whether you’re looking for vinyl wraps to for walls, windows, or vehicles (yes, even boats) you’ve come to the right place! For years, Full Sail Graphics & Marketing has been bringing the absolute highest quality design, materials, and installation to the vehicle wrapping industry. Those very same techniques that we have been perfecting over the years can be used to print boat lettering or decals. Lettering can be utilized to indicate required or desired information like: boat name, hail ports, or registration numbers. Full Sail has a nearly endless selection of available colors and fonts to meet any client’s needs. We also have the equipment necessary to create highly durable decals that are sure to customize the appearance of your boat. 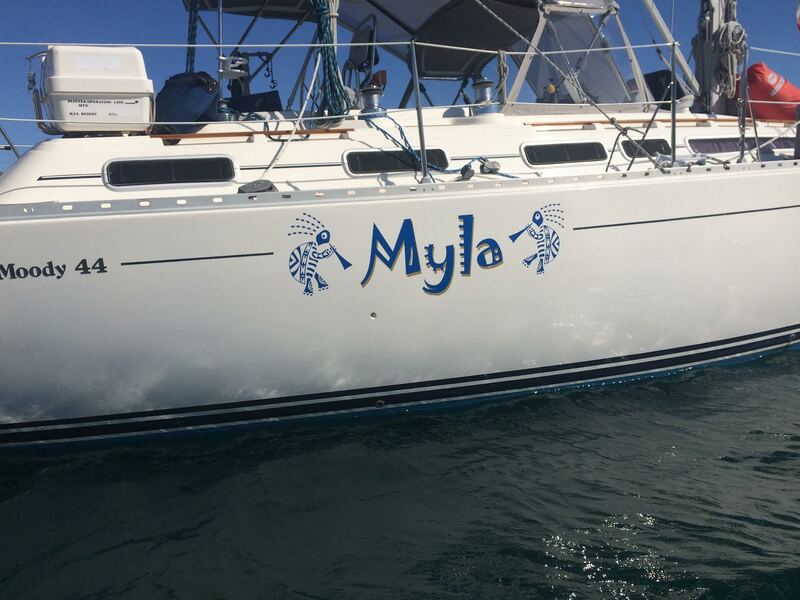 Our vinyl boat letters and decals are crafted from materials that are designed to withstand the elements and last for several years. If you want to be confident that your graphics will be installed with the utmost care and attention to detail, then. look to Full Sail Graphics. Installing vinyl graphics can be tricky. We have a team of experts who have experience in installing even the trickiest of graphics. With over 50 years of combined experience in graphics and marketing, the Full Sail Graphics team is confident that we will deliver quality graphics on time and on budget. If you’re looking to customize your boat or any other vehicle, please feel free to give us a call at (714) 274-6706 or visit our website at //fullsailgraphics.com.